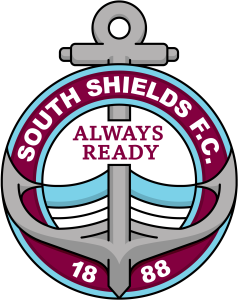 South Shields will be presented with the Northern League Division One championship after Saturday’s match at Guisborough Town. The Mariners wrapped up their first-ever Northern League title with a game to spare by winning 4-1 at Ashington on Tuesday. They will now get the chance to celebrate further when they lift the trophy on Saturday. Northern League president George Courtney MBE, and league chairman Glenn Youngman will present it. The Mariners are set to be backed by a large travelling support at King George V Ground, with up to six coaches thought to be full for the trip. Those still interested in a place on a coach are invited to call Westoe Travel on 0191 455 2292 to enquire whether there are any seats left. Meanwhile, after the game, Mariners Park will be open – and the league trophy will be present – for supporters wishing to celebrate the team’s achievement. Food will be laid on and we hope you can join us for the evening. Admission for the Guisborough game – to be paid at the turnstiles – costs £6 for adults and £3 for concessions, while under-12s accompanied with a paying adult are free. The post code of the ground is TS14 6LE.